PORTAGE, Pa. (AP) — In this digital-driven era, technology can do wonders for society, whether it’s a prosthetic leg for a war veteran who lost a limb in battle or virtual reality glasses for a high school student who is visually impaired. 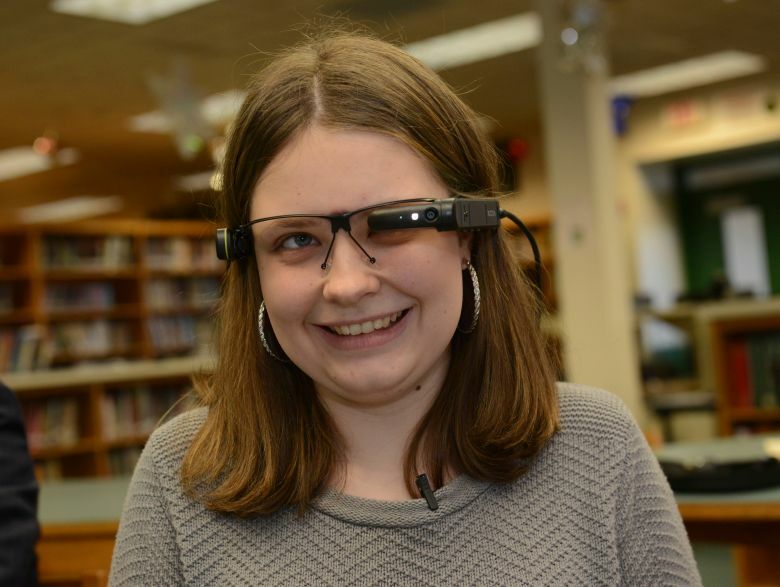 Alyssa Baxter, a 16-year-old Portage Area High School student with legal blindness, now has an accessible, portable means for clear vision thanks to the Vuzix M300 augmented virtual reality glasses she received Tuesday. The Vuzix M300, developed by Vuzix, a leading smart glass company, in partnership with Cyber Timez, enables wearers to identify colors, recognize objects, detect moods on faces, barcode scan products, magnify surroundings up to 15 times and read any text in more than 100 languages. Baxter was born with optic nerve hypoplasia, a congenital disorder marked by underdeveloped optic nerves. According to Baxter’s mother, Lacey Benton, her daughter’s optic nerves are about a quarter of the size they should be. “Her vision is actually 2200, and that’s in one eye. Her other eye only sees lights and shadows,” Benton said. Benton said she is excited about the glasses Vuzix and Cyber Timez donated to Baxter. “I think it will make things considerably more easy for her . make it easier for her to not hold things as close to read them or to be able to see farther away,” she said. In order to see in the classroom, Baxter relied on a device called CCTV, an $8,000 device comprised of a camera connected to a computer that zooms in on surrounding objects. This immobile device is located in some of the high school’s main classrooms and is not always available to Baxter. Outside of the classroom, Baxter depended on her phone and iPad to navigate her surroundings. 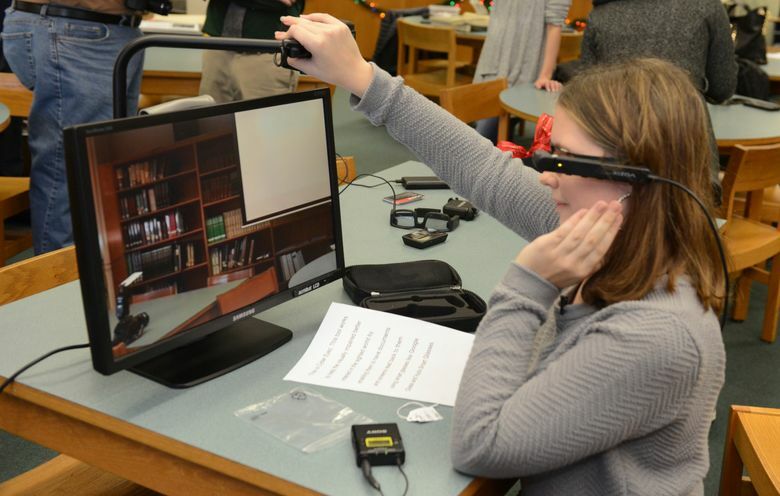 Representatives from both Vuzix and Cyber Timez presented Baxter with the smart glasses wrapped in a black box with a red ribbon tied on top at the high school’s library, fitting for the upcoming holiday season. The tech companies donated the glasses to her and are offering free, lifelong training and tech support. Each month, Baxter also will receive updates for the smart glasses including a flashlight installation, Skype and a currency recognition tool. Cyber Timez, the company that powers the smart glasses, partners with other organizations to distribute their products nationally and internationally to those with visual impairments. The company also offers visual aid software to American soldiers and veterans with poor vision and blindness. In collaboration with the Wounded Warrior Program, Cyber Timez aims to assist 175,000 American veterans and wounded warriors in a span of four to five years. Beginning in January 2018, Cyber Timez aims to distribute smart glasses to 33,000 American veterans.